Finally, we are proud to present our first CD! You will be able to listen to 8 pieces that mark the first years of our duo activities. We included short texts about the pieces in English and Slovenian. Very soon, you will be able to order the CD in the internet but in the meantime, you can get it by sending an e-mail to klavzarsi@gmail.com. Drumartica played with a wind orchestra as soloists for the first time. Wind orchestra Domžale did some excellent work and the concert was a big success. Soon, you wil be able to hear Drumartica with other Wind ensembles. 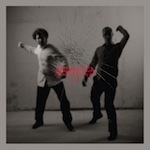 Slovenian Percussion Duo won 1st prizes ex aequo at the International Salieri-Zinetti Chamber Music Competition 2012 and Gasteig Kulturkreis Music Competition 2012. Slovenian Percussion Duo is a new member of Undercover Fiction Ensemble in Munich and will perform with them for the first time in February. Slovenian Percussion Duo started giving small workshops in the Sonček centre in Šiška, Ljubljana. The workshops are free of charge and suitable for everyone. For more information visit the official website. Slovenian Percussion Duo comissioned a percussion duo work by the great American percussionist and composer Bruce Hamilton. The work will be finished in spring 2012. 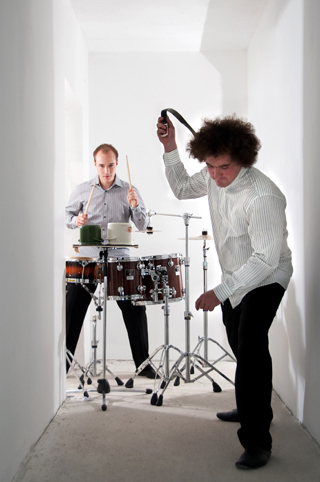 Slovenian Percussion Duo has become a partner with the Slowind Music Festival. The duo will perform in the festival from 9th to 18th of November. The festival is dedicated to the American composer Elliott Carter, one of the most famous living composers. For more information about the concerts, please visit the official website.